Millennium Point | Flickr - Photo Sharing! 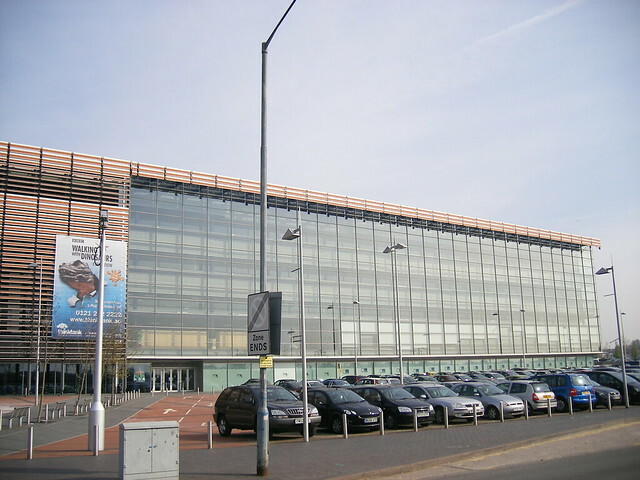 Millennium Point of 1997-2001 by Nicholas Grimshaw & Partners, a design-and-build job with executive architects Mason Richards. A steel and glass shed, 165 metres (541ft 4in.) long, set back standoffishly behind a large brick paved space. The west half, Think Tank, the Museum of Science and Industry, is covered by tilting terracotta-panel sunscreens. An unmarked entrance leads into the atrium, the south part low and oddly angled, the north big cantilevered Imax Theatre.